The LIBOR Scandal: Not that Big a Deal? 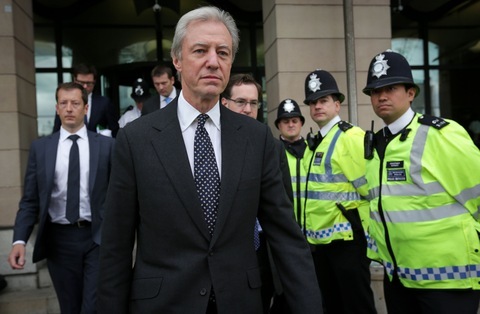 Former Barclays chairman Marcus Agius faced the Parliamentary Treasury Select Committee on the LIBOR scandal in London in July. Photo by Jason Alden/Bloomberg via Getty Images. One of the biggest business scandals of 2012 was the the manipulation of LIBOR, the London Interbank Offering Rate, on which so many other interest rates depend. LIBOR is determined by the banks themselves and, it turns out, was rigged — for years. Traders were in cahoots with “submitters” from the banks responsible for “reporting” the rates banks were offering to charge one another in the London market — the “interbank offering rate.” But the submitters were incentivized — and only too happy, it seems — to accommodate the traders by customizing their submissions for the profit of all. …In one telling conversation an unnamed broker asks an employee at another bank to submit a false bid at the request of a UBS trader. Lest the good turn go unnoticed the broker reassures the banker that he will pass on word of the manipulation to UBS. …In another moment of comical stupidity one employee sends out a request on a public chat forum at the bank asking the 58 participants if there are any requests for a manipulated rate. Later, after being admonished to ‘BE CAREFUL DUDE’ in a private note from a manager, he replies ‘i agree we shouldnt ve been talking about putting fixings for our positions on public chat (sic)’. UBS alone was fined more than a billion dollars for this practice, and it was far from the only bank involved. But Doug Dachille, our man in the pits (figuratively speaking), thinks it’s easy to make something of the LIBOR scandal that it is not: a conspiracy that screwed the global economy. Doug was the head of proprietary trading at JP Morgan until the merger with Chase, and then co-head thereafter. He’s been featured on this page before: here, here and here. Doug went on to explain the issue of mis-marking — a little wonky for this page, though if there’s an upswell of requests, we’ll be happy to publish the rest, with Doug’s permission. Doug Dachille: None of the “new” revelations change any of my views. Remember I ran derivative businesses so I had an inside view of the restaurant kitchen for many years and I was responsible for maintaining my firm’s “A” sanitation rating despite having a kitchen full of workers with “youthful” exuberance. I have always viewed collusion and market manipulation as financial crimes deserving of prosecution of the appropriate individuals and harsh consequences for senior management for a failure to supervise. I would be pleased to see more of this by financial regulators. Unfortunately the regulators are the equivalent of a JV team competing against Varsity players. They simply lack the financial and industry know-how to uncover these insider “tricks” of the trade. I encounter some form of market manipulation by dealers on a regular basis. Making money the old fashioned way — legitimately — is risky and hard business. But only the most sophisticated investors could ever detect the activity. Personally I view the most important aspect of my job as an investment manager is the protection of my investors from this daily assault on their wallets. What is even worse than a failure to supervise is the promotion a culture among traders where some form financial manipulation is an acceptable practice. The LIBOR scandal is more concerning, not because of the impact to swap market participants, but because it offers a clear view of a trading culture where market manipulation almost seems to be standard operating procedure. And this view should rightly erode the confidence of investors in the financial system. Routine examples of market manipulation are far too numerous to outline in an email. But is “setting up” for a Treasury auction by dealers, market manipulation or simply savvy risk management? The LIBOR scandal just happens to be one example of market manipulation by dealers that the regulators happened to stumble upon and because LIBOR involves notional principal contracts the scale seems enormous. However, there are many other cases of market manipulation in the securities markets occurring daily and I would argue that currently the largest market price manipulator in the fixed income markets today ironically is a regulator — the Federal Reserve. Most fixed income assets should be renamed price-fixed and no income instead. Moreover, after reading the almost child-like shenanigans of the LIBOR polling traders, I am further convinced that the economic impact is minimal. As I stated previously idiosyncratic market manipulation in completely random directions — sometimes “higher” and sometimes “lower” than “fair value” — is irrelevant in the pricing of interest rate swaps. Only a consistent systematic directional bias would be cause for concern. I think manipulation of LIBOR in the manner uncovered has been going on for decades (as I always assumed) given the lack of supervision by experienced management, the compensation incentive structure and the excessive hormones of a youthful trading group. However, there was really no rhyme or reason as to why a polling trader would elect to submit a rate skewed higher or lower. The direction seemed uncorrelated to the aggregate net position of the institution. Instead it seemed more whimsical – a buddy called up and asked for it to be skewed higher or lower. The “buddy” factor is not a systematic risk factor that needs to be incorporated in my derivative pricing model. Since I don’t think LIBOR was consistently biased one way or another, I view the bias as the equivalent of the noise term in a regression and therefore it contributes nothing to pricing.